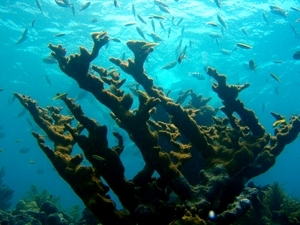 This is a blog intended to share news and interesting information related to coral reefs and coral-related people, places, and projects in the U.S. and Freely Associated States. Whose is it?This blog is created, updated, and overall controlled by the U.S. All Islands Coral Reef Committee or AIC for short. What is the AIC you ask? Read all about us here! What can I find on this blog? Information and news related to coral reefs in the AIC jurisdictions of American Samoa, Commonwealth of the Northern Mariana Islands, Florida, Guam, Hawai’i, Puerto Rico, and the U.S. Virgin Islands as well as AIC Affiliates, the Federated States of Micronesia, Republic of the Marshall Islands, and Republic of Palau. Could I be a guest blogger on this site? You must be sharing reliable news and information related to coral reefs. Your information must be related to coral reefs within AIC jurisdictions. You must be a partner of the AIC or AIC member. You must not promote services or products.